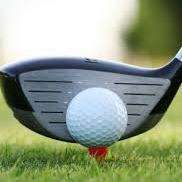 ITHACA — Newark Valley’s Billy Knight picked up medalist honors to lead his team to its second straight victory in IAC action Thursday. Knight posted a 44 on the par-35 front nine at Hillendale Golf Course as the Cardinals defeated Odessa-Montour, 259-289. Shawn Deer scored a 50 for NV and Tucker Pettit carded a 52. Matt Waterman shot 56 and Jason Brown rounded out the team’s scoring with a 57. Jason Knight shot a non-scoring 69. O-M’s Tyler Saunders and Noah Hollenbeck shot 45 and 46, respectively. Austin Hoyt registered a 59, Brett Walters had a 69 and Wes Wade had added 70. NV (2-2) is off until April 22, when it hosts Waverly (0-2).